Since the cold season is fast approaching, we know you wouldn’t want to give up gardening for a couple of months. Luckily, there is a great solution for people who enjoy growing plants and vegetables so much that they don’t want to stop just because it’s winter. What we’re talking about is, of course, indoor gardening. Now, there is more than one way for you to grow plants indoors. However, today, we wanted to suggest you take this opportunity and experiment with a gourmet seed starter kit and an amazing machine that will provide you with everything you need to grow healthy and nutritious plants. Let’s have a look at what we’re talking about. 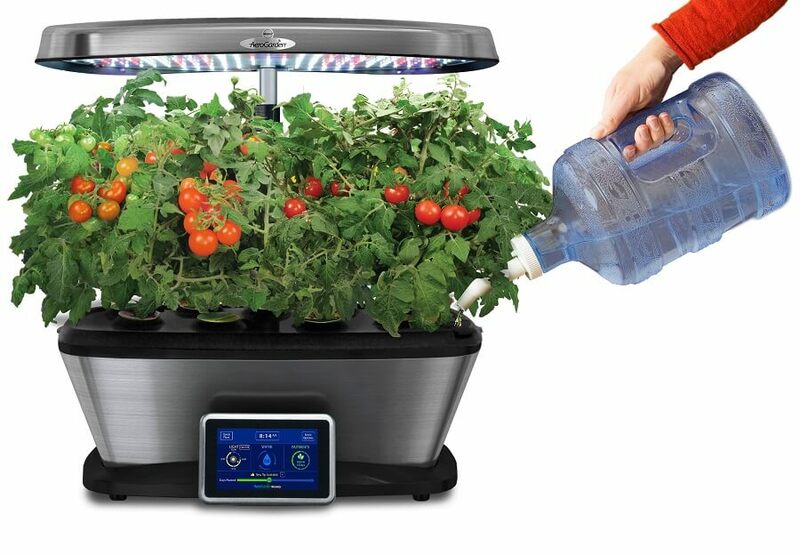 This wonderful machine that you can buy on Amazon will make indoor gardening really easy for you. It is an apparatus where you can grow literally anything, from vegetables to herbs, flowers, salad, and so on. It does not require any type of soil. What’s more, it even grows your crops 5 times faster than you would outside in the garden. Does this sound too good to be true? Wait, there’s more exciting information to come. The device uses LED light, which is already well-known for being better than any other traditional light sources. It also has an interactive control panel equipped with a touchscreen. You can use it to schedule when you want the lights to turn on or off, it reminds you when to water the plants and when to provide them with food, and it even shows you some extra gardening tips. Now, leaving the best for last, we should mention that this apparatus comes with 9 pods. What should you plant in these pods, you ask? Well, the manufacturer also thought of that. If you purchase the machine, you will also get a gourmet seed starter kit with 7 types of herbs. These herbs are Chives Dill, Thai Basil, Italian Parsley, Cilantro, Curly Parsley, Mint, and Genovese Basil (x2). Plus, you also get 3 oz. of plant food to help you get started. So if you are looking to start your indoor garden in style, we suggest you consider this gourmet seed starter kit. Stock up with all of your favorite herbs just in time for winter. With this professional care and fast technology, you will be able to enjoy fresh, healthy, and delicious herbs in no time. The great news is that now, you can purchase the entire set, both the apparatus and the gourmet seed starter kit for only $325.34 on Amazon. No more worrying that you will have to buy refrigerated herbs and plants to use for your meals this winter. Just home-grown healthy alternatives for you and your family.